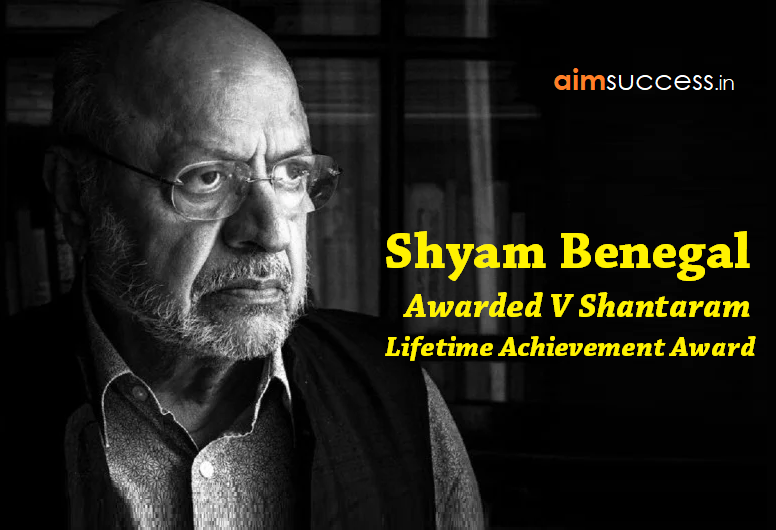 Maharashtra Governor, Shri C Vidyasagar Rao has given V. Shantaram lifetime achievement Award 2018 to veteran film producer and director ‘Shyam Benegal’ at the MIFF 2018 valedictory function in Mumbai. The award carrying a Trophy, a shawl, citation, and cash prize of Rs. 10 lakhs. Benegal has been selected for his contribution to the promotion of the documentary movement. Note: Mr. Benegal born in 1934 in Hyderabad completed his M.A. in Economics from the Osmania University and began working in an advertising agency, before venturing into filmmaking. Justice Syed Mahmud Hossain has been appointed as the new Chief Justice of Bangladesh Supreme Court. Bangladesh’s President Md Abdul Hamid administered the oath for Hossain as the 22nd chief justice in Dhaka. The Chief Justice of Bangladesh is the chief amongst the judges of the Supreme Court of Bangladesh and head of the whole judicial establishments. Note: Hossain obtained B.Sc., LLB and completed six-month long "Commonwealth Young Lawyers Course" from the School of Oriental African Studies and the Institute of Advanced Legal Studies. The world cancer day is being observed on 4th February every year to raise awareness about cancer, its treatment and to encourage methods of its prevention. On the occasion of World Cancer Day, Vice President Mr. Venkaiah Naidu has inaugurated a medical camp at Swarna Bharat Trust ‘Atkur’ in Andhra Pradesh. The union government has started AMRIT scheme in order to provide relief to poor people from the rising cost of Cancer drugs. Note: Cancer is a group of diseases involving abnormal cell growth with the potential to invade or spread to other parts of the body. The theme of the ceremony was "One Nation". In 1948 on this day, Sri Lanka achieved freedom from British rule. Prince Edward (Britain's Queen Representative), Earl of Wessex, and the Countess of Wessex participated in the celebrations as Chief Guests. Note: Sri Lanka (officially the Democratic Socialist Republic of Sri Lanka) is an island country in South Asia, located southeast of India and northeast of the Maldives. BJP senior leader and Lok Sabha MP from Kairana (U.P. ), Hukum Singh (79-year) passed away at Noida's JP Hospital after a prolonged disease. He was previously elected as a Member of the Uttar Pradesh Legislative Assembly for seven terms before entering the Lok Sabha in the 2014 polls. Today, President ‘Ram Nath Kovind’ has opened the annual Udyanotsav of Rashtrapati Bhavan. The public will also be able to visit the Spiritual Garden, Herbal Garden, Bonsai Garden and Musical Garden. About 10,000 programmed Tulip bulbs in 8 varieties of different color were imported from the Netherlands and have been planted in the Mughal Gardens. The several beds of roses, including both new and heritage varieties, margined with dwarf trimmed hedge and numerous exotic flowers are the main attraction of the Long Garden. The Mughal Gardens will remain open to the public from 6th Feb to 9th of March between 9:30 AM to 4:00 PM. Vice-President M. Venkaiah Naidu has inaugurated the first International Kala Mela at the Indira Gandhi National Centre for Arts in New Delhi. The objective of the event is to focus on the direct interaction between the artist and the connoisseur and also educating and raising awareness about art. More than 800 artists from all over the country are expected to participate in the event. This is for the first time that the Lalit Kala Akademi has planned the International Kala Mela, continue till the 18th of this month. Today, Cyprus President Nicos Anastasiades has won the re-election for a second term. The final result after a second-round run-off put the conservative incumbent on 55.99% of the vote, ahead of Communist-backed Stavros Malas on 44%. The PyeongChang Cultural Olympiad kicked off with an opening festival in the South Korean coastal city of Gangneung. The opening ceremony featured live performances by K-pop groups and other cultural activities involving local folk traditions. All of the Olympic ice events including hockey, skating and curling will be held in the city. More than 400 cultural performances and exhibitions will also be held throughout the Olympics to offer authentic Korean culture to visitors from around the world. Defending champion ‘PV Sindhu’ lost to Beiwen Zhang (USA) in the summit clash of the India Open Badminton tournament at Sri Fort Complex in Delhi. She lost the final to Beiwen Zhang 18-21, 21-11, 20-22. The 2018 India Open was a badminton tournament which took place in India from 30th January to 4th February 2018 and had a total purse of USD 350,000. Note: This tournament was organized by the Badminton Association of India (BAI) and sanctioned by the BWF. The Board of Control for Cricket in India (BCCI) has announced a cash reward of Rs. 50 lakhs for the Under-19 chief coach Rahul Dravid. The victorious squad members will receive Rs. 30 lakhs each. The other members of the support staff including Abhya Sharma (fielding coach) and Paras Mhambrey (bowling coach) will be richer by Rs. 20 lakhs.